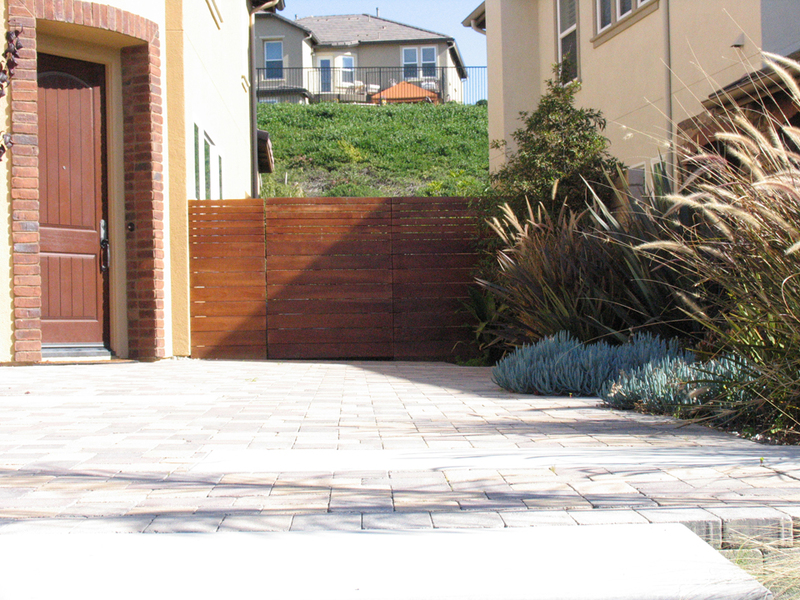 The design for this south Orange County residence brings a modern aesthetic to a typical south county neighborhood. 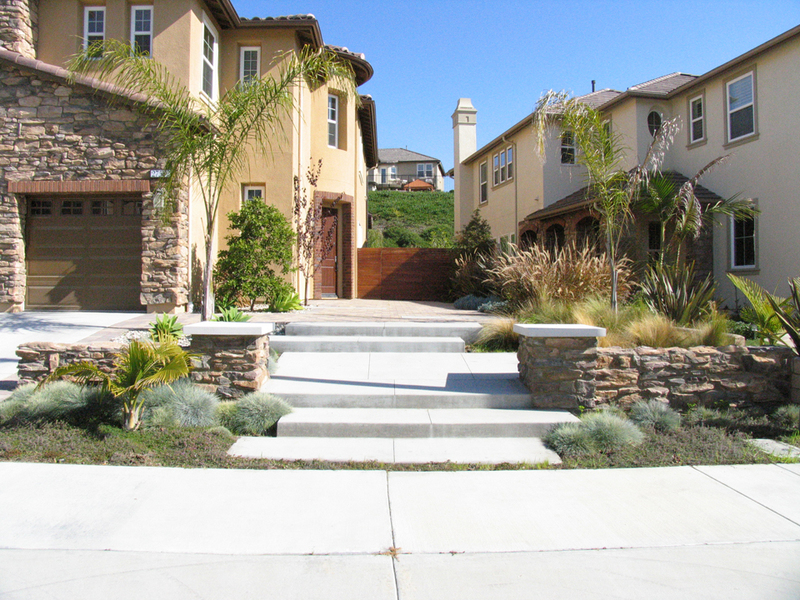 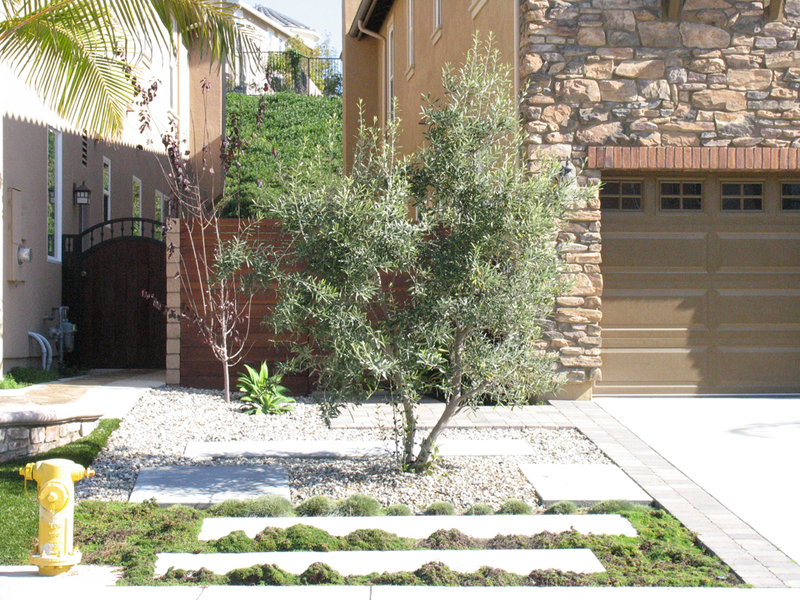 Clean lines and concrete forms create the bones of this project, while architectural planting gives shape to the yard. 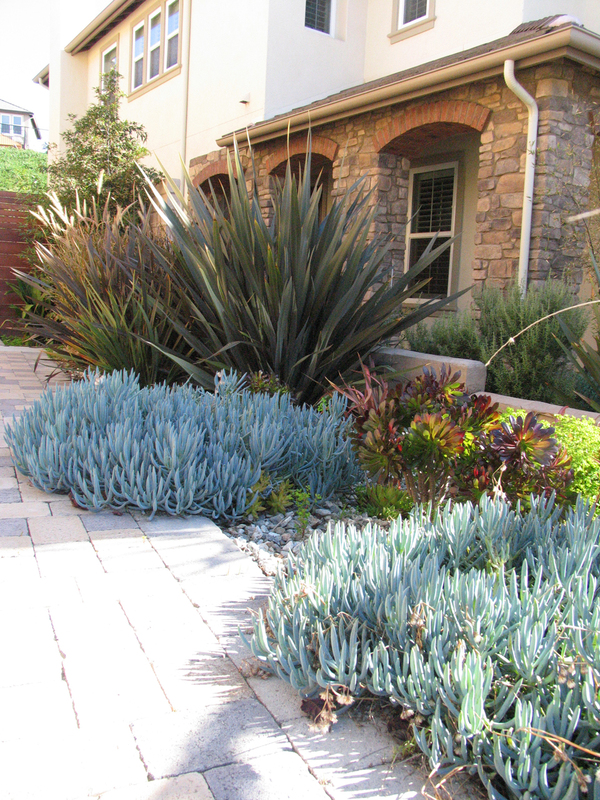 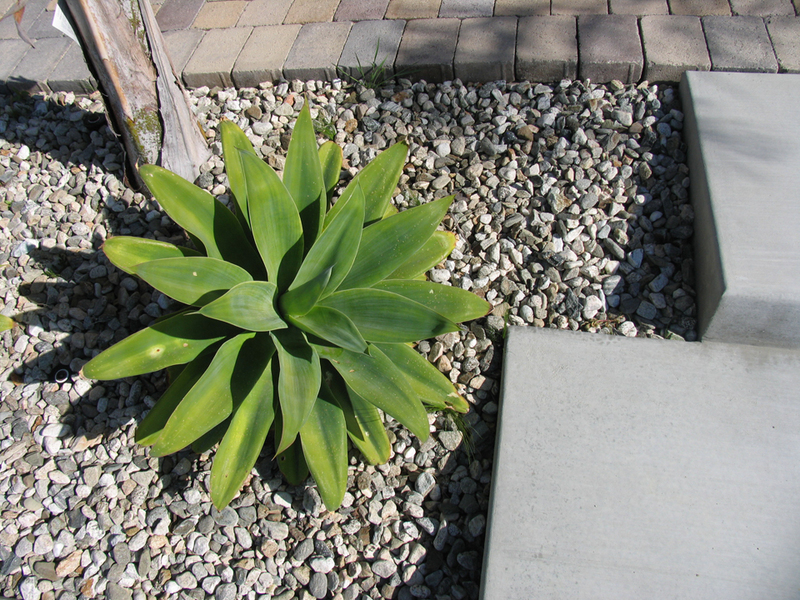 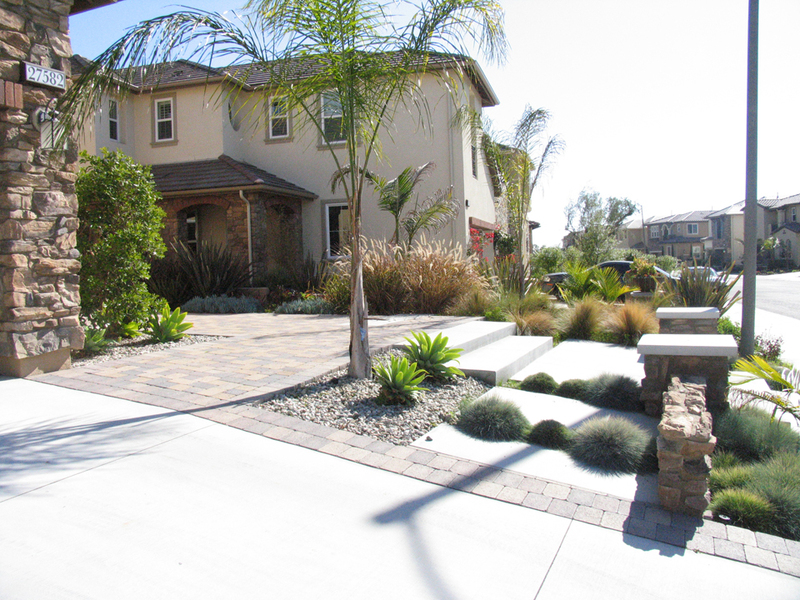 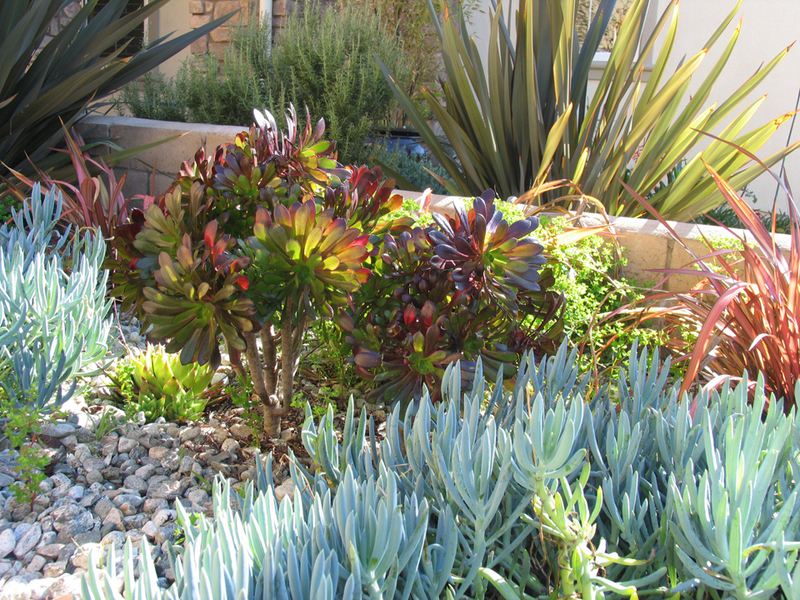 Drought tolerant plantings and low water irrigation is used to help reduce the owner’s water bill, while still keeping the yard aesthetically enticing.